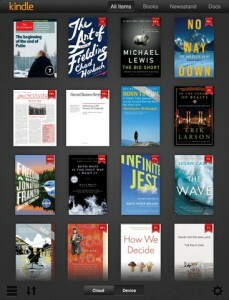 Up until now, despite certain efforts to use the Kindle for iOS app to encourage media embedding in eBooks, the Kindle line has really been all about the bare content. Yes, page formatting is not only possible but important, but for the most part writers and publishers have been restricted so much by the format and the capabilities of the devices used to read their books that the only thing really possible was the basic layout stuff. Now, with the Kindle Fire on the horizon, things are changing. Amazon has already got a lot planned to take advantage of the color screen on their newest Kindle. Kid’s books and magazines will be getting a huge push, for example. There has even already been some fairly major controversy in the world of comics over Amazon’s exclusive deal with DC for some digital editions and the repercussions this is having on that industry. Naturally none of this would be simple to pull off using the rather outdated Mobi 7 eBook format. Amazon’s solution is a new release called “Kindle Format 8”. Over time it will completely replace the obsolete format, though all Kindle devices will continue to be able to access these older files. 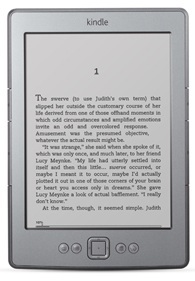 Kindle Format 8 brings the power of HTML5 and CSS3 to the eBook. This gets you greatly expanded layout control, including fixed layouts. That’s going to be especially important for things like children’s books and comics, where relative positioning of the illustration is important to meaning. It will also finally make possible footnotes, which will please academic publishers among others. Personally I’m hoping that that particular application won’t take off, since there is a lot of potential in the Kindle‘s existing annotation framework if they could figure out how to adapt it to replace footnotes, but that may be an unrealistic hope now. On top of formatting, Kindle books will now be able to contain their own specific custom fonts, text displayed over images, and a number of other welcome updates. This update is anything but a surprise, in a way. Existing popular formats like EPUB and Mobipocket are already based on HTML, so there is a certain sense of inevitability to the development of a new eBook format based on modern standards. The greater functionality will be welcome for many, should the development tools prove effective. Both KindleGen 2, the Kindle Format 8 publishing tool, and Kindle Previewer 2 will be available soon, assuming they’re not already out by the time this is published. While the Kindle Fire will be the first device in the Kindle line to support this update, eReaders should be updated to support KF8 within the next several months. No word yet, to the best of my knowledge, if Amazon will be making any effort to update either of the first two generations of Kindle to allow for compatibility, but the currently available devices should have no trouble. Hopefully users will enjoy a greatly improved reading experience once authors and publishers get the hang of the new tools.